Fire retardants are one those things that sound like a good idea at first. Who wouldn’t want to protect one’s family from the risk of a household fire? But it turns out that fire-retardant chemicals, even the “new” ones, have been linked to toxicity concerns such as cancer and endocrine disruption. They also don’t break down cleanly in landfills once the products treated with them are discarded. If you have no choice but to have furniture or carpeting with these chemicals in your home, use a vacuum cleaner with a HEPA filter to clean them. And if you are concerned about chemicals in children’s pajamas or other clothing, choose items made from natural fibers that are naturally fire resistant. Unfortunately, we’ll never be able to steer clear of all the potentially harmful chemicals in our environment—that’s why it is so important to take control where we can! Ah, to see green again! Trees, gardens and lawns are coming alive quickly. That means, of course, a bit of work for us in caring for those precious living things, including that unending lawn mowing. To green up that process as well, consider mowing this year with an old-fashioned push mower instead of a gas-powered mower. If you don’t have huge territories to cut, today’s push mowers are virtually as convenient as gas mowers. They are much lighter-weight and easier to handle than the ones you used as a kid, and they don’t produce pollutants or greenhouse gases. It’s easy to get comfortable on vacation, enjoy the luxuries, and neglect taking care of Mother Earth. This Earth Day, April 22, practice some small changes that can have a huge impact, but won’t kill your relaxed vacation mindset. Reduce your carbon footprint by walking, biking, or taking public transportation around Breckenridge. Not only are these options cheaper, but they can have a profound impact on the environment and you will probably notice some new sights on your way. You never know where a friendly fox could be hanging out! Do you really need that receipt? By choosing “no” you’ll not only save paper, but you’ll also save yourself exposure to the petroleum product BPA, which is present in the thermal paper. BPA has been linked to numerous health problems, including cancer, heart disease, and reproductive issues. And besides, what do you do with all those pesky little pieces of paper anyway? Breckenridge Grand Vacations is committed to sustainable business practices. Part of this effort is placing a strong focus on recycling and composting. There are numerous recycling bins placed throughout each property and inside the units. If you have any questions about what can or cannot be recycled, refer to this guide. Help eliminate additional waste and water consumption by reusing items. Hang up your towels after use, place the card indicating you don’t need your towels changed on your outer door, and enjoy your day knowing that you are having a positive impact on water consumption. Bring your reusable bags with you while out shopping in town. If you don’t have one, they can be purchased at the markets on property or at City Market. While you are out in town, pick up an eco-friendly reusable water bottle. This is not only a great souvenir, but will help eliminate waste. 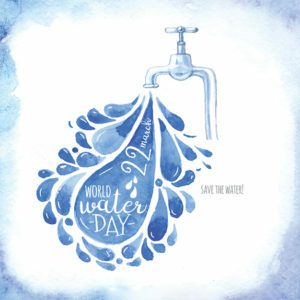 Did you know that less than one percent of the Earth’s water is available for human use? 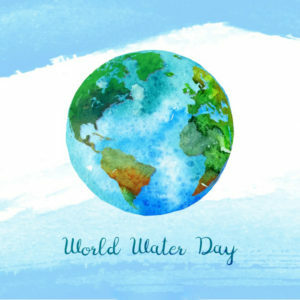 In celebration of World Water Day, March 22, Breckenridge Grand Vacations invites you to participate in a few water-conserving habits. One of the biggest actions you can take to help conserve water is to install a WaterSense toilet. The EPA estimates that a home’s main source of water use comes from toilets, which account for nearly 30 percent of a home’s water consumption! By replacing an old inefficient toilet with a WaterSense one, you can save 20 to 60 percent in water consumption or over 10,000 gallons a year! Another way you can help conserve water is simply turning off your tap when you brush your teeth. This simple action can save up to eight gallons of water a day and over 200 gallons per month! Last, on your next Grand vacation in Breckenridge, sign up for your resort’s Sustainable Stay program. This resource conservation program invites all guests to participate in Breckenridge Grand Vacations conservation efforts. One green habit guests will practice is towel reuse. By reusing towels, guests will help conserve water by reducing the amount of linens that are sent to the laundry. Bonus Sustainable Stay tip: Be sure you visit your resort’s EZH2O water refill station as well! These stations do more than conserve water, they fill your water bottles three times faster than a traditional drinking fountain and reduce the number of plastic water bottles that end up in the landfill.